The Skandika Regatta Oxford Pro SF-1170 Rowing Machine is a high-quality exercise machine that claims to train up to 86% of your body’s muscles. To give you an idea, Skandika Fitness is a German brand that makes sure each of their products is TüV-tested, so they’re guaranteed to be durable. This rowing machine is sleek, stable, and cost-efficient as it’s offered at an affordable price. However, this rowing machine isn’t made to satisfy the fitness needs of everyone, but it can provide challenging workouts for most people. If you want to know whether this would be the right equipment for you or not, keep on reading as I take a closer look at its features. Rowing machines are one of the few machines that can simultaneously train your legs, upper body and core, back and abdominal muscles. However, to be able to maximise every workout, you need a stable equipment that will ensure your safety. The Skandika Regatta Oxford Pro SF-1170 Rowing Machine is made of durable materials that make it support up to a maximum user weight of 120 kg. 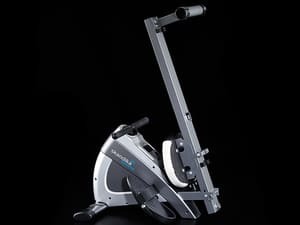 It’s also integrated with a quiet poly fibre train system with a 2 kg flywheel that enables you to workout at any time of the day, and it also has a magnetic resistance system to add intensity to your exercise. If you’re particular about warranty, you’ll be glad to hear that this equipment comes with a 2-year warranty guarantee as well as an excellent after sales service. 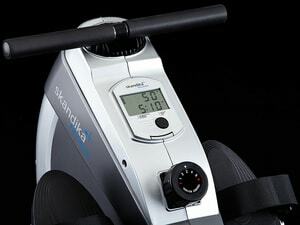 The Skandika Regatta Oxford Pro SF-1170 Rowing Machine simulates the experience of rowing on water, which also serves as an effective total body workout. But aside from rowing, you can also use this machine to perform other types of exercise such as arms and back building workouts, which instantly turns it into an all-in-one fitness equipment. It’s an excellent choice for those who are trying to build muscles but also great for those who are seeking to enhance their health condition in general. This rowing machine also includes a built-in heart-rate receiver that’s compatible with heart monitoring devices such as a chest strap (optional). Aside from being a robust design, the Skandika Regatta Oxford Pro SF-1170 Rowing Machine also features wide foot pedals and foam-padded handles that will help you workout for a longer time. It also has a soft and smooth gliding seat that ensures each movement is maximised. If you think your workout isn’t challenging anymore, you can add resistance of up to five levels using the adjustable tension dial. For beginners, you can start with the lowest resistance setting and gradually increase as you improve your strength. Resistance levels make the rowing machine harder to pull, resulting in a more effective workout. To make sure your efforts are paying off, make sure you keep track of your progress on the monitor wherein your time, speed, strokes (rowing), and calories are displayed. Rowing machines can occupy a lot of space inside your house. The Skandika Regatta Oxford Pro SF-1170 Rowing Machine measures 152.5 x 53 x 46.5 cm when assembled, but it can be folded in half when not in use. In this way, you can enjoy your personal space to relax after a heart-pumping workout. The machine is not that heavy as it weighs only 22 kg, but it has built-in transport wheels making it easier for you to move around the house whenever it’s necessary. With only five resistance levels, the Skandika Regatta Oxford Pro SF-1170 Rowing Machine will be effective for those who have already gained some strength from doing other workouts. 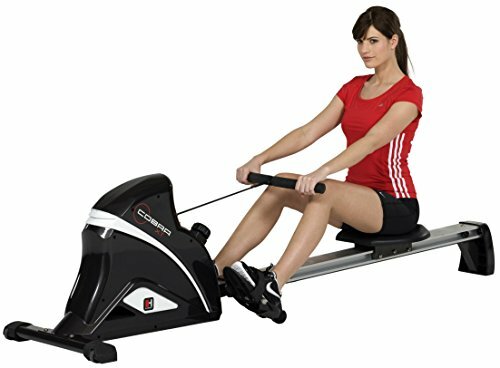 This rowing machine is best suited for beginners and intermediates as it offers a gentle yet effective full body workout. It still makes an excellent choice for starters even though it doesn’t offer a wide range of resistance levels. 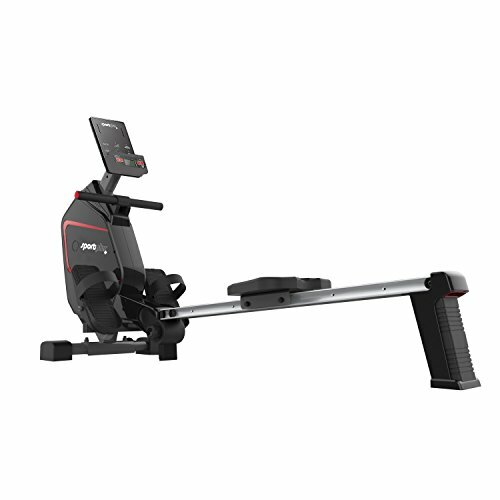 The SportPlus SP-MR-009-iE Rowing Machine looks sleek expensive, but it’s another budget-friendly option which can be compared to higher-end rowing machines. Aside from an exceptional quality with a maximum user weight of 150kg and an extra long aluminium roller rail(110cm), it also allows you to view your data on your smartphone or tablet with the use of the Cardio fit App. Through this app, you can also create your own tracks on Google Maps and run them in street view mode. This will make rowing more interesting as you can get a realistic view of the streets on your device. 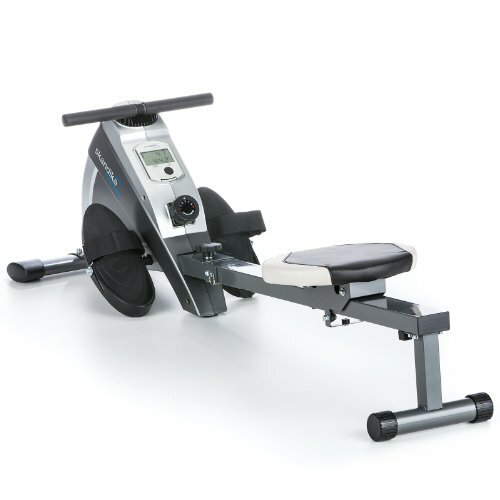 This rowing machine also features an 8 kg flywheel mass with 24 levels of computer-controlled magnetic resistance. 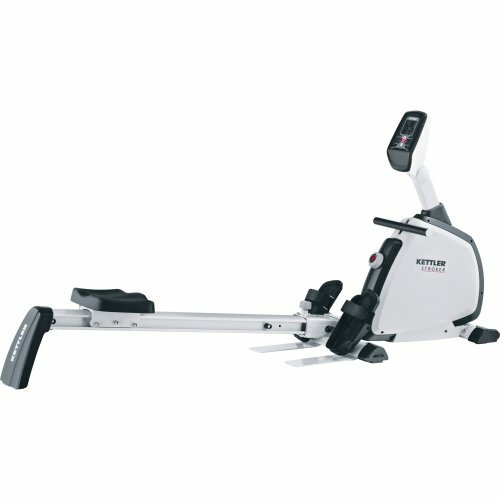 The Kettler Stroker Rowing Machine is also a good buy if you have only a little or no experience with rowing machines. It has a maximum user weight of 130kg, and it’s also equipped with a 4kg flywheel to keep each movement smooth and quiet workout. Because of its rope-driven mechanism, it can also be used for different types of exercise such as extensions or crossover pulls. You can use it as a regular rowing machine while seated, or you can pull the rope while standing to perform other workouts. What I liked most about this rowing machine is that it already comes with a chest strap which is usually sold separately on other fitness machines. 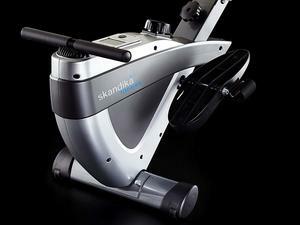 Kettler Stroker Rowing Machine Detailed Review? CLICK HERE. The Hammer COBRA XT Folding Rowing Machine is also TüV certified fitness equipment and it can provide a satisfying workout to all fitness levels, from novice users to pros. It can support a maximum user weight of 120kg, a 5kg flywheel, and ten levels of resistance so you can get multiple intensity workouts. I’m not certain about what I’m going to say not, but I think this rowing machine is called “Cobra” because it’s exactly how it looks like when folded upright. If you have a limited budget in mind or you’re just not yet ready to spend a lot on fitness machines, the JLL R200 Rowing Machine is one of the best budget options. Its maximum user weight is 100kg, and it’s equipped with ten levels of resistance. 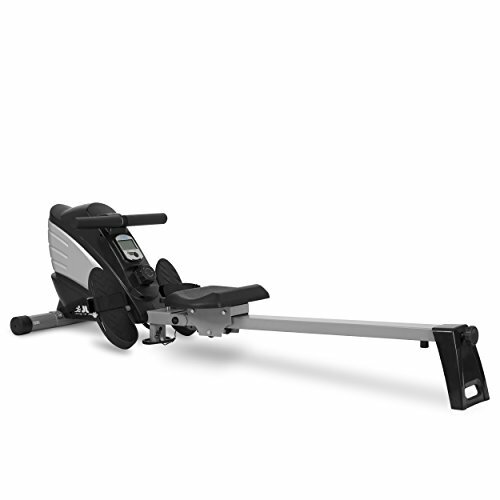 Even at an affordable price point, this rowing machine ensures to provide you with an efficient workout, and it’s energy-efficient as it doesn’t require to be plugged into the main to operate. The Skandika Regatta Oxford Pro SF-1170 Rowing Machine offers a limited number of features, but its quality and durability make it reasonable for the given price point. This rowing machine provides beginners and intermediates with the perfect combination of strength and endurance for toning and conditioning.